Use a B&O centre speaker or subwoofer with your non-B&O TV! Want to use a B&O Beolab 7 centre speaker with your non-B&O TV? Or plug your iPhone, iPod or laptop directly into a Beolab 2 subwoofer? Our Powered Trigger Kit makes both these situations possible, plus many more! Want to use a B&O Beolab 7 centre speaker with your non-B&O TV? Or plug your iPod or laptop directly into a Beolab 2 subwoofer? Many B&O stores will tell you that you cannot do this - but our Powered Trigger Kit makes both these situations possible, plus many more! 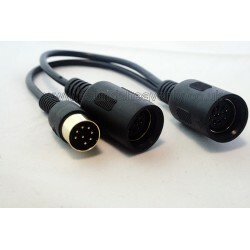 Compatible input devices include: PC/Mac computers, iPod, iPad, iPhone, MP3 player, laptop, a non-B&O TV, or any other device with a 3.5mm "minijack" headphone socket. If you want to connect your input device via a B&O audio system or BeoVision TV (ie. 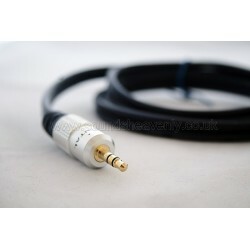 not directly to the speakers), see our other listings for B&O AUX input cables. 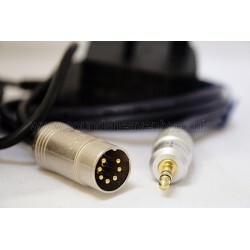 These speakers do not have a "Line Input" mode attached to their Powerlink inputs, so this kit induces a trigger signal that they would normally receive from a B&O system. 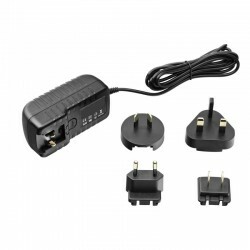 When the power supply is turned on, the speaker will trigger on and be ready to use. When power is turned off from the power trigger kit, the speaker will return to standby mode. Many users have reported success using "eco" remote controlled switches with our kits. Please ensure that you turn the device volume down before you switch on this kit, as Beolab speakers are VERY powerful!